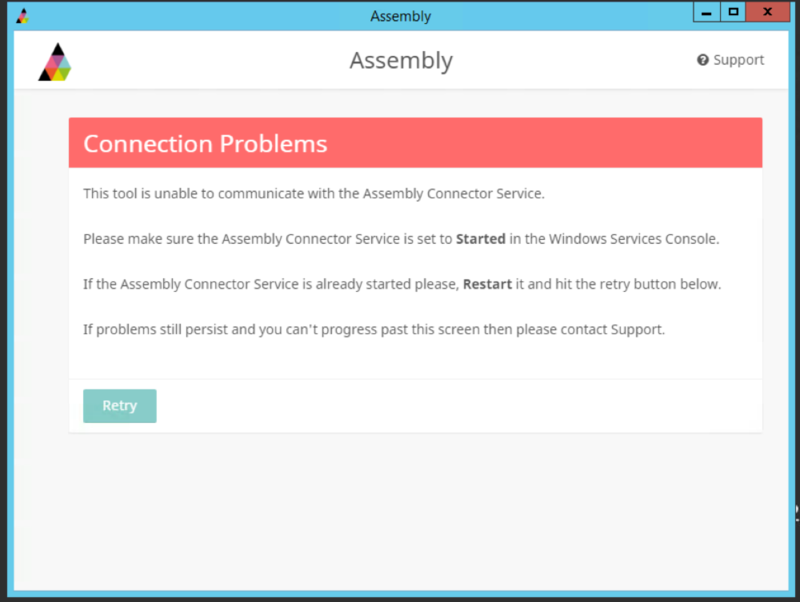 If the installation tool is unable to communicate with the Assembly Connector service, then it's possible your proxy authentication is blocking our requests. 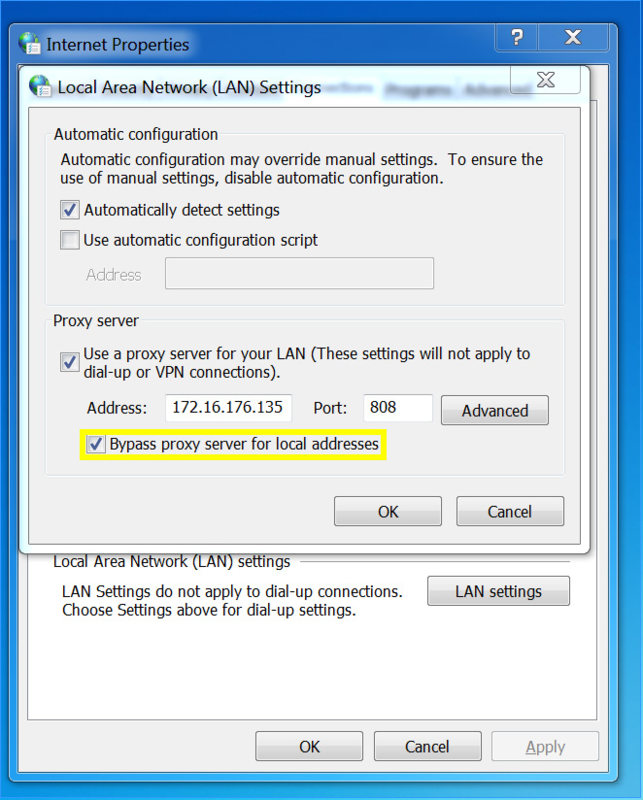 To troubleshoot this issue, open up Internet Explorer, go to Internet Options, then click on the Connections tab, and click on LAN Settings, and ensure that the Bypass proxy server for local addresses tick box is checked. You may also have to enter your proxy address, port, username, password and domain on the Assembly Connector installation tool. Please contact help@assembly.education if neither of the above resolves your issue.